how about a test between: P30 pro/Xperia 1 and Lumia 1020? 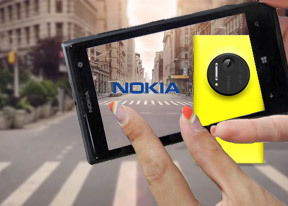 Its posible to get a screen for Nokia Lumia 1020. AnonD-473839, 14 Dec 2015why are the pics in the 38mp version kinda blurry compared to the same ones in this review whi... moreDo you have the settings right? why are the pics in the 38mp version kinda blurry compared to the same ones in this review which are 5mp which look CRISP CLEAR !!.. i did notice this on all 6 pics so if u dont plz stfu coz i know what am saying !.. any idea is this a normal thing on the phone or can it be adjusted to get the same crisp for 38mp pics ?.. Love this phone camera is brilliant OS is good apps are good design is awesome build quality is top. Unbeatable device. Nokia = King. Ductilul, 26 Mar 2015Yes, you're right. It was a battery issue.You got the battery replaced? Worlds greatest 1020 is the best buy, people buy this phone. No camera needed anymore with this device. Phone and best phone camera in one package. Anonymous, 23 Apr 2014It sounds like you have a battery issue... mine is pretty good, no issues at all. I enabled ba... moreYes, you're right. It was a battery issue. This phone has serious software imperfections .After purchasing this phone from Amazon for $468 in April of 2014 the camera stopped working within a few months.The seller denies warranty and Microsoft does not have the common decency to reply to enquiries as to who will honor the warranty. amazing photos I take this with me when I need briljant photos cause it is still much better than my 930.
there is no better phone than the 1020.
best in its class. Best overall. No samsung will ever match the performance and quality and the design of Nokia phones. It is good to buy this phone, because it's a superb smartphone withbthe best camera.